Call us! We offer treatment to help! This can be a symptom of TMD! Pain free! A reason to smile! Talk to us about treatment for Sleep Apnea! We can help! Contact us to schedule! At Central Illinois center for TMJ and Facial pain, Dr. Jack Walz and his team have provided solutions for orofacial pain, headaches and dental sleep issues since 1982. 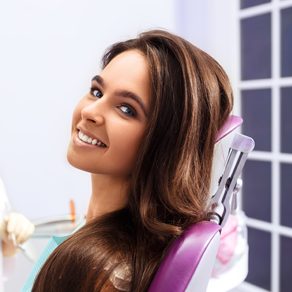 We provide personalized, state of the art treatment and exceptional customer service. Our team of highly trained professionals will work with you and other members of your medical team to provide solutions to your pain and sleep issues. We are here to help you recover from pain and start you on a path to improving your life. Please contact our office and begin your journey to a happy and comfortable life. Central Illinois Center for TMJ and Facial Pain, P.C.